The Route 9 Shopper has been a trusted name in the community since 1989. We are a direct mail and marketing company that reaches over 230,000 homes each month, as well as handout distribution to hundreds of businesses in the area each and every day. We are committed to providing eye-popping vibrant presentation and effective direct mail advertising. For our clients, direct mail programs establish brand identity, create market recognition in local communities, and maximize return on investment. 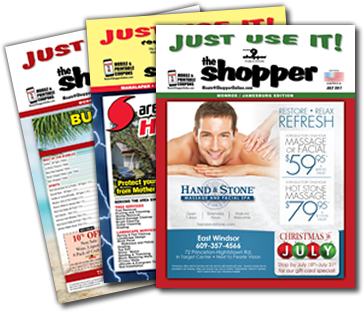 The Route 9 Shopper is mailed to more homes in your community than any other advertising magazine in the area. We take pride in the quality of our product and our graphic design team creates agency-quality designs each and every time. There is a reason why we have lasted so long and why our customers advertise year after year. It’s because IT WORKS! It’s a fact that over 80% of our advertising customers repeat their ads month after month. We deliver results for our customers!